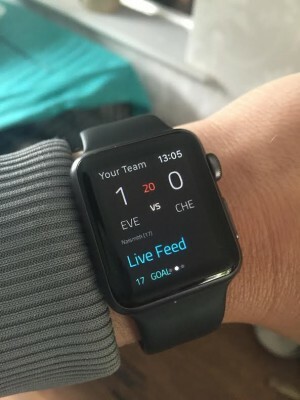 Liverpool startup Gloryhunter, the real-time English football league game, has launched an Apple Watch OS 2 app. The app has been designed to complement the iOS version of the game, a fantasy football game with integrated betting. "When we looked at the features that were going to be available as part of OS 2, we immediately recognised the potential for Gloryhunter,” said the game’s co-creator, Stuart Kay. “With WatchOS 2, Apple Watch apps run natively for better performance. For an app like Gloryhunter it's a perfect fit: live scores and match updates, available immediately on your wrist. Gloryhunter says it will be one of the first apps that fully support the capabilities of both iOS 9 and Watch0S 2.